manual call points placed adjacent to exits with a minimum of one call point on each floor, such as break-glass call points. 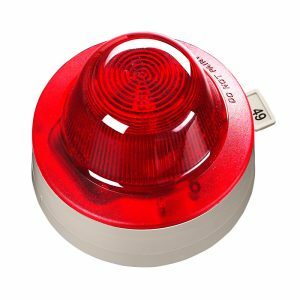 electronic bells or sirens that can be utilised during class changing systems. If the building presents with areas that are unoccupied or have common corridors, laboratories, or circulations spaces in which fire could develop to the extent that escape routes will be affected before the fire is identified; then it may be necessary to upgrade the fire warning system. An upgrade will involve the implementation of fire detection systems and the installation of fire warning features. If the system should fail, for whatever reason, you must still ensure that the people within the premises are warned of the fire and evacuate the area safely. 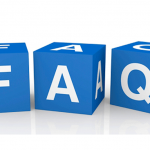 Temporary arrangements, such as air horns, whistles or gongs can be combined with trained employee protocol located in key areas throughout the building. 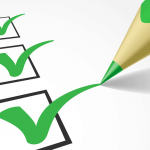 To ensure the full premises is secured, it may be necessary for short period system repairs to be conducted. 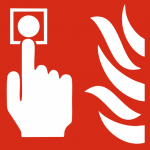 Fire warning sound levels should be loud enough to alert all individuals in the property of danger, taking into consideration any background noise and recognising any distinctive sounds used in the area. It is recommended that other sound systems be manually or automatically muted when the fire alarm is set off. If the area presents with an uncontrollable background noise or the individuals in the area are wearing hearing protection, it is advised that the audible fire warning alarm be supplemented with visual warning aids. 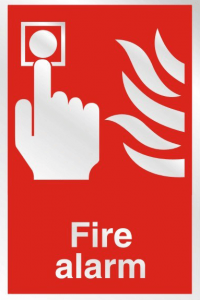 When people are present with hearing problems, particularly individuals who are profoundly deaf, then using the typical fire alarm is likely to be of little or no use. If a person with hearing challenges is accompanied by a fully-able individual, then this should not be a problem as the other individual will be able to inform them of the issue and prompt an evacuation. If, however, the person with hearing challenges is left alone, then consideration of other types of fire warnings should be taken into account. The most popular types of hearing disability-friendly fire warning options include vibrating gadgets and visual beacons. Evidence from scientific studies has found that certain people do not always react speedily to traditional fire alarms. In these situations, voice alarms were found to be more effective as they incorporate public address features and can be designed by a person with expert knowledge of these electronic systems. Of course, the message or messages set need to be carefully deliberated and developed to ensure the design is appropriate for its function. Schematic plans should be considered as part of fire safety awareness because they indicate the fire alarm zones within a multi-zoned system adjacent to the fire control panel. To quickly determine whether or not a fire has been detected, it may be worthwhile considering a link to a suitable alarm receiving centre via monitored systems. This can offer increased protection for the building, particularly when the building is unoccupied. A manual call point, more commonly known as a break glass call point, will enable a person discovering a fire to immediately warn other people of the danger by breaking the glass. People leaving the building due to the warning of fire danger will typically leave through the entrance; therefore, manual call points are often positioned near exits where people may be expected to go in the situation of a fire and not only because these areas are designated as ‘fire exits’. It is, however, not necessary in all cases to provide call points at every property exit. The manual call point should typically be placed so that no person should need to travel in excess of 45 metres to the nearest alarm call point after all machinery, equipment, fittings and fixtures are put in place. The distance may be less if the premises caters for people with restricted mobility or the building has hazardous areas, such as engineering workshops. If there are hazardous areas, these should be marked as dangerous in red and fit at a height of approximately one metre or less for people with restricted mobility; thereby, ensuring that there is no obstruction in the case of fire warnings. if there are areas that are remote or where occupants are isolated, they may become trapped if there is a fire and they are unaware of the fire’s development. For example, students operating in unsupervised areas or where the building is partially occupied outside of operating hours. 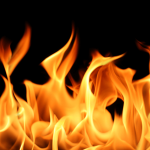 if the premises has areas where fires can easily develop unmonitored, such as storerooms. inclusion as a compensatory feature for inadequate property fire protection, such as in buildings where there are extended distances in the structure or dead ends. where the ventilation systems and smoke control are maintained by automatic fire detection systems. to reduce the potential effects of arson. One major concern that has resulted in many unnecessary calls to fire and rescue services on an annual basis is the false alarm quote from automatic fire detection systems. Guidelines to reduce the number of false alarms by this system can be seen in the ODPM/CFOA/BFPSA. 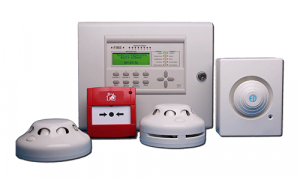 If an excessive number of false alarms occurs in your building, occupants may begin to be complacent and will not respond correctly when a real fire warning occurs. In these situations, you may fail to comply with the necessary fire safety laws. As such, all false fire alarms need to be investigated to discover the underlying cause of the issue and for remedial action to be taken. 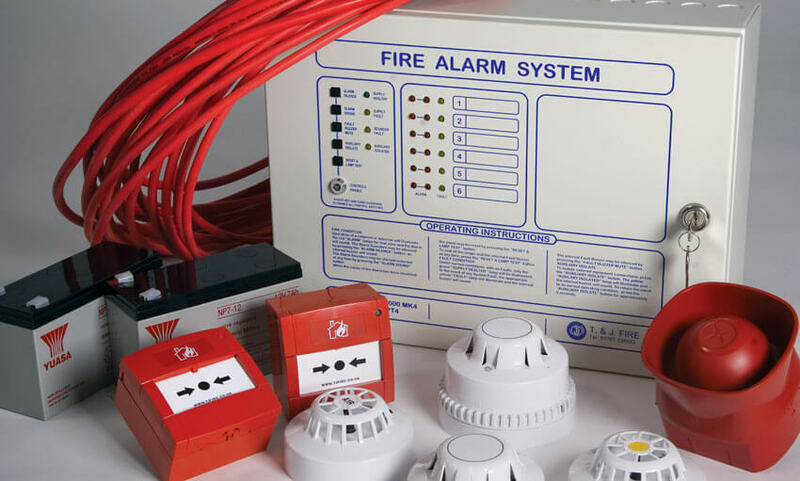 To help reduce the amount of false fire alarms, systems are designed and placed in areas where detection and activation can be reviewed regularly. For example, if a classroom is converted to a staffroom with cooking facilities then the likelihood of a fire monitor being set off will increase. Another common issue associated with false fire alarms is the accidental or malicious operation of manual fire call points. To avoid accidental alarm operation, it is recommended that protective covering be placed around the call point. To reduce the chance of malicious call point operation, it is recommended that the alarm call point be placed in an area where it can be monitored. Occasionally, people will set off manual fire alarm call points in the belief there is a fire; however, this could be a false alarm. While this is frustrating for fire alarm services, nothing should be done to discourage this action and the number of these false alarms is not important. In the majority of educational buildings, setting off fire alarm systems should trigger an immediate and complete evacuation of the structure. In some larger and complex premises, however, which may have defined areas of activity, this is not always the case with alternative arrangements often being made; for example, in the case of a university complex. Alternative arrangements fall into two broad categories – the first is those individuals who are at highest risk of fire and these occupants are placed nearest to the area where the fire alarm can be activated and will be evacuated immediately if the alarm is correct. Others in the building are offered an alert signal and will be evacuated only if evacuation is necessary. This is typically called the phased evacuation with initial movement, and depending on the layout of the premises it can be either vertical or horizontal. The second alternative arrangement group is to offer the initial alert signal to particular staff who will carry out specific pre-arrange actions helping others evacuate a premises more easily. The staff need to be fully trained, able-bodied, available at all times, and should not see this task as a means of merely reducing disruption to services. When a staged alarm is used, people with disabilities will be alerted first offering them the maximum time available to evacuate the building. Both of these alternative arrangements require fire warning systems that are capable of providing staged alarm procedures, including different evacuate signals and alert signals. The arrangements and signals should only be considered after consulting with expert system installation technicians and the relevant enforcement authority. This type of system will also require a specific level of management to ensure that all staff are familiar with the protocol and guidelines. The fire warning and fire detecting systems need to be supervised by a responsible individual who has been trained and given the authority to manage all elements of the routine testing, as well as being able to scrutinise the system. Control systems and equipment should be reviewed at least once per day to ensure there are no faults in the fire detection systems. Furthermore, the warning systems need to be tested at least once per week. 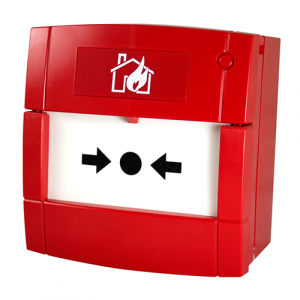 When using electrical systems, the manual fire alarm call points need to be activated using a dedicated test key. The key will check that all control equipment can receive an alarm signal and activate the warning alarms. Manual alarm call points should be numbered to ensure sequential testing. Good practice involves testing fire alarm systems at the same time each week; however, additional testing may be beneficial to ensure that the staff members or occupants are offered the opportunity to experience the alarm when it is set off. Testing of the fire detection systems should always be conducted by a trained and competent individual.